A headfire racing across a harvested Little Bluestem Field. Note the height of the flames in relation to the trees in the background. 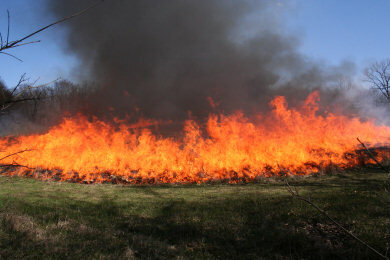 The 'Rising-Heat Suction Effect', causing the fire to pull toward the middle of the field, regardless of wind direction. 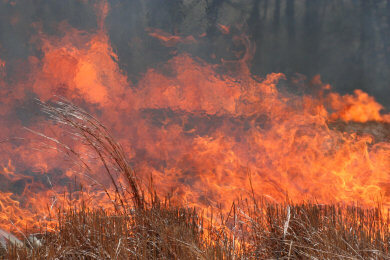 A prescribed fire in a Little Bluestem production field. 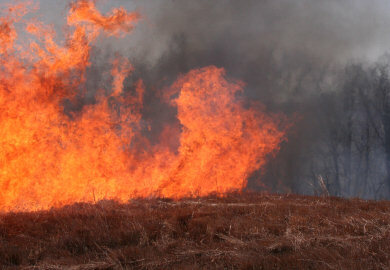 A very important management tool of grassland ecosystems, and one required for many CRP contracts, is fire.  Quality Forest Management carries burning insurance, and is one of the very few companies in Missouri that will accept prescribed burning contracts. If you are considering hiring QFM to burn on your land, please install a mowed and disced fire-break around the field to be burned, which will make the fire much easier to control, as well as safer for those working the burn and to property around the field.